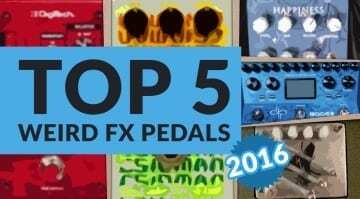 For Musikmesse Digitech have announced two brand new pedals. 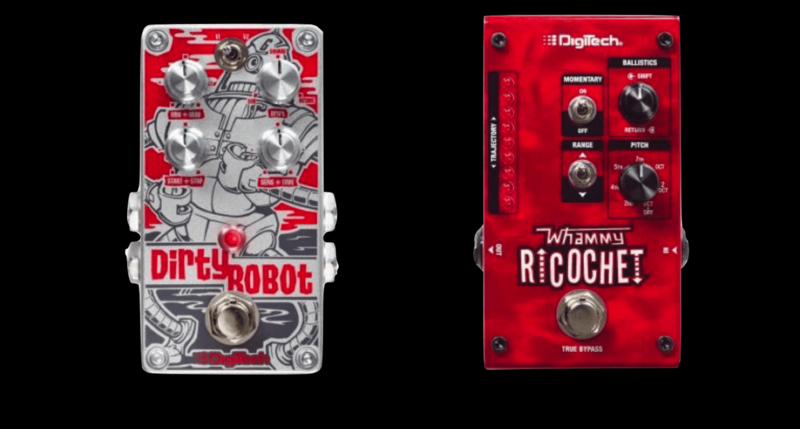 The Whammy Ricochet is based upon their ever-popular Whammy series of pedals while the Dirty Robot is a synth wah pedal. If you’re a guitarist and like to glitch and make otherworldly noises, these two new units are something to look into. The Whammy Ricochet is a small-format pedal that squeezes in a full-sized Whammy pedal, just without the foot treadle. It is replaced by a non-latching momentary footswitch which takes the place of the treadle and allows you to control the effect. An LED readout shows you which way you’re shifting the effect. 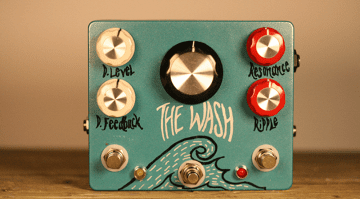 The pedal does the classic monophonic glitch of the original and sought after Whammy, as used by Rage Against The Machine; the more modern polyphonic version can handle chords. Next up is the Dirty Robot pedal, a stern synth unit divided into two distinct voices. One is a regular envelope-type synthesis and the other a formant, vocal-like synthesis with a more wah-like character. The pedal has seven controls: mix, mod (chorus for thickening the sound), drift (sub, octave and square waveforms) and sensitivity. The start, stop and time knobs are used to adjust the sweep of the synth sound and control its duration. Both pedals look like a lot of fun and the Ricochet Whammy in a smaller enclosure will please a lot of players, as the original Whammy pedal can take up a lot of space on a pedal board, which is always a bit of an issue if you only use the effect now and again. Plus, the old original versions have odd power supplies, also making them a bit of a pain to integrate into a rig for live use.